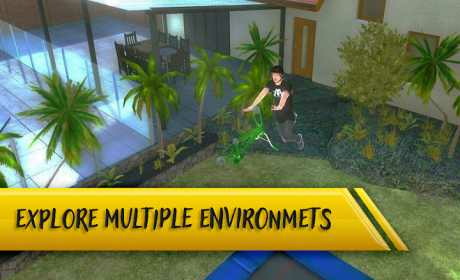 Discover the next generation BMX & Scooter spin off game “This is Tramp Bike”. With ultra realistic physics that resemble that of a true Tramp Bike & Scooter. Bounce your way to set new high scores and unlock new tricks, trampoline mats, characters & more. 360 DEGREE ENVIRONMENTS — You can unlock a variety of full 360 degree environments that is adjustable whilst in gameplay so you can check out your style from different angles. TRAMP BIKE & SCOOTER CUSTOMISATION — Choose from the awesome preset colour range or score enough to unlock the “Ti Tramp Bike” full colour customisation palette. You have the ability to change each part of your chosen ride to your desire. CHARACTER CUSTOMISATION — Want to stand out, well select your attire from a whole range of the different character clothing style options. 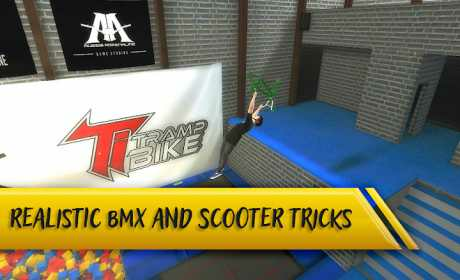 HUGE TRICK LIST — “Ti Tramp Bike” has 32 tricks divided into 4 tiers,.You’ll be able to throw down epic combinations in the air. 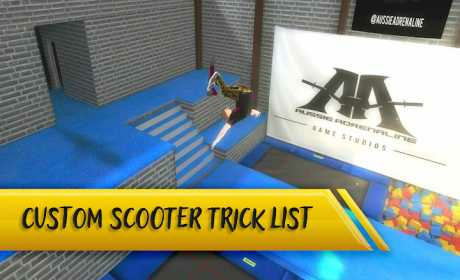 Including separate trick animations for both BMX & Scooter.